Introducing the TruScan architecture to the GE Vivid ultrasound family, the GE Vivid 7 portable ultrasound remains as a well-known, premium cardiac ultrasound machine. With its affordable price, excellent image quality, and stability, the price/performance ratio of the Vivid 7 ultrasound also makes it one of the best in its class. The GE Vivid 7 ultrasound is also well-known for its 4D imaging, revealing a full volume image of the heart. 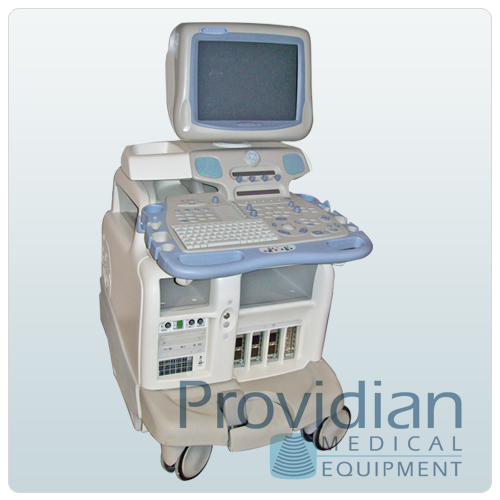 The GE Vivid 7 is a Best Buy refurbished ultrasound system. The used Vivid 7 ultrasounds have excellent image quality… from its first release to its latest software version. In fact, its first version (Vantage BT02) is considered by many to have one of the best 2D cardiac images on the market today… more than 10 years after its initial release. So, if don’t need a lot of the high-end features (4D, strain imaging, Q-Analysis, etc), and are doing mostly 2D, Color, and Doppler, you should consider saving of money by choosing a refurbished Vivid 7 from an earlier date. Our expert refurbishing team will ensure that your refurbished Vivid 7 will be in great condition and give you many years of great imaging.